Celebrating Two Decades of High Performance Architecture! 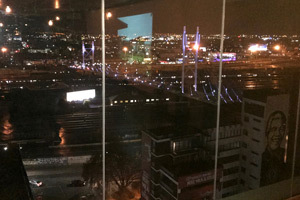 On Saturday 2 June, Activate Architecture celebrated its twentieth year in business in fine style at Thirteen in Braamfontein, an elegantly designed function venue, champagne and whisky bar that offers a panoramic view of the Joburg city skyline from its top floor and overlooks the rooftop of Activate’s very first studio from which the practice operated in the late 1990s. Opening its doors on 3rd January 1998, Activate started out as a collaborative of idealistic young graduates determined to design great buildings and make a difference; and has grown into an award-winning practice with noteworthy projects in the public and commercial sectors. Around ninety past and present clients, employees, associates, colleagues and friends of Activate were treated to a trip down memory lane, with the Directors highlighting the milestones and challenges of Activate’s colourful journey. Guests were also addressed by Siza Majola, the Chairperson of the Ikusasa Trust, which was established by Activate and focuses on skills development for future black female South African professionals through a bursary and mentorship programme. For its 20th birthday party, Activate partnered with Home of Hope, an NPO that provides care for abused and abandoned children and those affected by Foetal Alcohol Spectrum Disorders (FASD). 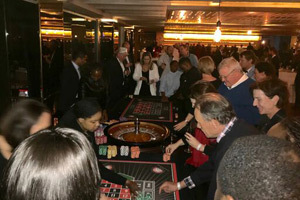 Part of the fun and games for the evening was to play Roulette for this worthy cause, and the overall winner won a night for two at the Forum Homini Boutique Hotel, one of Activate’s flagship award-winning projects. Building on a solid base defined by twenty years of commitment to the best that architecture can offer, it is with a real sense of pride and potential that Activate looks forward to the next twenty years.